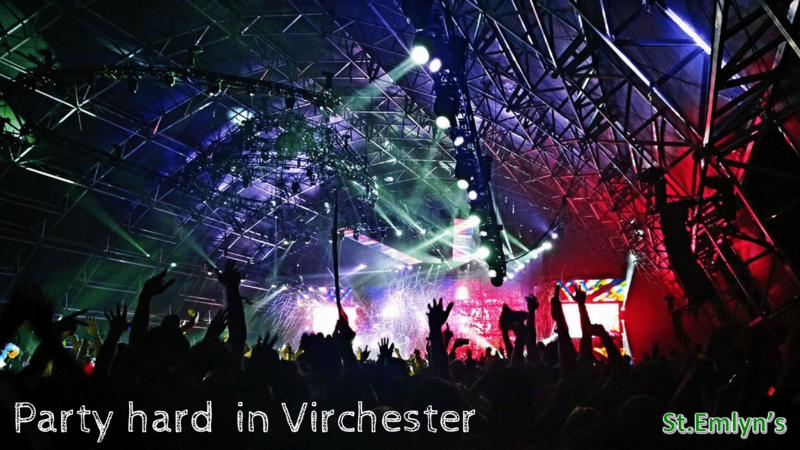 The onset of late spring in the UK marks the start of festival season. Dancing in fields for enjoyment likely goes back to prehistory and pagan fertility (of crops, animals, and humans) rituals. Whilst Morris Dancers and Maypole dancers are unlikely to trouble the average urban ED, the modern equivalent of the ancient rite, the music festival is of interest to the Emergency Physician and we have blogged about the role of a festival doctor before1. Drug use and popular music go way back. The experiences of the Beatles, Miles Davis and Keith Richards are well documented. Even that bastion of middle-class respectability, classical music has a few skeletons of substance misuse in its wardrobe and Classic FM (a UK radio station that plays, predominantly “popular classics”) has blogged about this here2. It’s probably fairly safe to say that artists all through the ages have sought euphoria as an aid to the creative process. It’s also probably safe to say that one of your favourite albums has been recorded by someone who has been influenced by drugs or alcohol. There is a synergy between the artists taking the drugs and the fans following. Tobacco and alcohol were popular in the salons of Beethoven. Jazz fans smoked the same gage as their heroes. There was an announcement to the crowd about the acid at Woodstock3. Ecstasy fuelled the rise of rave culture. Drug use abounds in popular culture and music festivals are no different. Unfortunately there can be harm associated with drug use and there were two deaths at the Mutiny festival a couple of weeks ago4. Whilst “don’t use drugs” is the moral line from authority, this has had little effect, as has prohibition. So, it’s not that we are advocating recreational drugs (although as doctors we do use a lot of other drugs), it’s just that as emergency physicians we have accepted that they are part of the landscape of our practice and that we need to understand them, understand what they can do and how we might treat the consequences. In the modern era, your smart phone, computer and web experience may also have been influenced by micro-dosing techies in silicon valley5,6. This weekend sees Park Life festival in Manchester7. Past experience of working this and other festivals suggests that a lot of drugs will be taken, largely with no, or little ill effect or impact on emergency services. Concern has been raised after the deaths at Mutiny that high strength tablets had been in circulation, the Blue Punisher, with up to 300mg MDMA (a usual adult dose being around 100mg)8. Accompanied by a likely hot weekend and a policy that no food or drink of any description will be allowed in the festival, that has more than a whiff of avarice about it 9, this is a potential disaster waiting to happen. And I’m working this weekend. Blue Punishers were also reported at the Mutiny Festival, where as reported at the weekend two young people died and are being reported in the media to be drug related with both media and DrugWatch members (who were doing welfare onsite at this festival) reporting that young girl had purchased two silver Audi pills. As was also pointed out the weather was very hot, adding to the risk of overheating through sunstroke and dehydration. Added to the problem of high dose MDMA, the Loop14 (also tested at Love Save the Day) warned about pink hearts sold as ecstasy that contained pentylone, which (along with n-ethyl-pentylone) was the main adulterant in pills last year. This is active at much lower doses, so overdosing is much more likely if taken in MDMA doses and can have long lasting (12-48 hours) of side effects including severe paranoia and inability to sleep. So what am I preparing myself for? The usual cocktail of drugs taken is MDMA, cocaine, ketamine, and mephedrone. And alcohol, usually rather a lot. We’ve published a harm reduction blog before15. I’d also like to sign post to the Loop’s page16 which is free of bias and informative. As an emergency physician you should recognise your foe. Aside from a significant amount of person-on-person violence, which we are all too good at dealing with, sadly, I’m expecting to see a spectrum of intoxication with any combination of the above drugs and more, and problems related to the heat. It’s an interesting toxidrome, and despite the multiple possible causes, they are probably largely immaterial. Prehospital care services should take care of most cases of intoxication. The patients that present to NHS services have significant physiological derangement. This is both our bread and butter and emergency critical care in the raw. Intubation may be necessary. We will probably discuss drug choice ad infinitum in the comments, probably either thiopental or midazolam; depends on the look of the patient. And roc; not sux, because of the hyperkalaemia risk (if I’m even allowed to use sux anymore after NAP617). Preload with a litre of Hartmann’s though. Cricoid? They’ve probably had a gallon of ale; and some noodles. I’m taking the Yankauers off and having some SALAD18. We’ve blogged about drug induced hyperthermia 19 before and it’s well worth revisiting. Drug induced hyperthermia from recreational drugs is one of the most challenging conditions we deal with in Virchester. It has a high mortality amongst previously fit and well (usually very young) patients. Those cases, and the subsequent impact on families is harrowing. Hyponatraemia is not uncommon, but for once the usual rigorous workup is largely unnecessary. The primary etiology and pathophysiological mechanism underlying Exercise Associated Hyponatraemia20–23, and all known fatalities, is the overconsumption of hypotonic fluids relative to exchangeable sodium in likely combination with non-osmotic AVP secretion. I’m stopping that Hartmann’s as soon as the gas is back and reaching for the hypertonic saline. Yes, here I’m probably making an assumption that water intoxication is more common than drug-induced SIADH. Is there that much diffference between an endurance race and a festival? If you said “yes”, you’ve done neither, properly. There are no reports of cerebral pontine myelinoysis resulting from over-vigorous treatment of exercise-associated hyponatremia (an acute process) with hypertonic saline. Oral hypertonic saline solutions (100mL 3% NaCl) can be used in milder cases of EAH. Biomarker changes. Dehydration, sympathomimetic consumption/generation and heat all contribute to rises in creatine kinase which may indicate rhabdomyolysis. Is this an opportunity for public health advice? Well yes and no. All presentations to the ED are an opportunity for patient education24, but your initial management will be about the clinical care of the patient. Following recovery then it is an opportunity for a brief intervention for the patient and also any associated friends and family. In Virchester we have a range of services that can help drug users who are getting into difficult and/or dependency, and nationally there are websites that aimed at reducing harm, we regularly recommend FRANK25 as one that many people are aware of and is easy to find. We would also routinely ask about other potentially high risk behaviours such as alcohol26 use and sex27. Recrational drugs are not going to go away. They are widely used in society and in most cases little or no harm results. For some patients, particularly the drug naive and for those mixing their meds it’s possible that they may end up in your ED. When they do just do what you always do. Grayson A. glastonbury medical cover. St.Emlyn’s. http://www.stemlynsblog.org/what-i-did-on-my-holidays-by-alan-grayson-aged-37-5/. Published June 27, 2013. Accessed June 8, 2018. Chopin – opium. Classic FM. https://www.classicfm.com/discover-music/latest/classical-music-drugs/chopin-piano/. Published May 23, 2014. Accessed June 8, 2018. Festival W. The Brown Acid is Bad – Woodstock Vinyl LP. YouTube. https://www.youtube.com/watch?v=hKoLlKmQSHU. Published November 1, 2010. Accessed June 8, 2018. Busby M, Busby Mattha. Mutiny festival deaths: mother of Georgia Jones, 18, describes her heartbreak. the Guardian. https://www.theguardian.com/uk-news/2018/may/27/mutiny-festival-deaths-ill-portsmouth. Published May 28, 2018. Accessed June 8, 2018. “Microdosing” LSD is not just a Silicon Valley trend – it is spreading to other workplaces. The Independent. https://www.independent.co.uk/voices/lsd-microdosing-california-silicon-valley-california-drugs-young-professionals-a8259001.html. Published March 16, 2018. Accessed June 8, 2018. How Silicon Valley rediscovered LSD . Financial Times. https://www.ft.com/content/0a5a4404-7c8e-11e7-ab01-a13271d1ee9c. Published 2017. Accessed June 8, 2018. Parklife 2018. Parklife. https://parklife.uk.com/. Published 2018. Accessed June 8, 2018. Murray R, Smith J. Inside LSTD drugs tent after alert on dangerous âpunisherâ pill. bristolpost. https://www.bristolpost.co.uk/news/bristol-news/inside-love-saves-day-drugs-1614163. Published May 27, 2018. Accessed June 8, 2018. Food & Drink – Parklife. Parklife. https://parklife.uk.com/information/general-information/food-drink/. Published 2018. Accessed June 8, 2018. UK and Ireland Drug Watch. http://michaellinnell.org.uk. http://michaellinnell.org.uk/drugwatch.html. Published 2018. Accessed June 8, 2018. Key findings 2016. Global Drugs Survey. https://www.globaldrugsurvey.com/past-findings/the-global-drug-survey-2016-findings/. Published 2017. Accessed June 8, 2018. Gayle D, Green L, Gayle Damien, Green Leah. MDMA may pose greater danger to women than men, say scientists. the Guardian. https://www.theguardian.com/society/2016/nov/04/mdma-ecstasy-poses-greater-danger-to-women-than-men-warn-scientists. Published November 4, 2016. Accessed June 8, 2018. Another “Bad Batch”? – Volteface. Volteface. http://volteface.me/another-bad-batch/. Published May 29, 2018. Accessed June 8, 2018. The Loop. The Loop. https://wearetheloop.org/. Published 2018. Accessed June 8, 2018. Grayson A. Something for the weekend, Sir? – St.Emlyn’s. St.Emlyn’s. http://www.stemlynsblog.org/something-for-the-weekend-sir/. Published July 26, 2013. Accessed June 8, 2018. Club Drug Info. We are the Loop. https://wearetheloop.org/club-drug-info/. Published 2017. Accessed June 8, 2018. NAP6. National Audit Project: Perioperative Anaphylaxis. http://www.nationalauditprojects.org.uk/NAP6home. Published 2018. Accessed June 8, 2018. Weingart S. Podcast 196 – Having a Vomit SALAD with Dr. Jim DuCanto – Airway Management Techniques during Massive Regurgitation, Emesis, or Bleeding. EMCrit Project. https://emcrit.org/emcrit/having-a-vomit-salad-with-ducanto/. Published April 3, 2017. Accessed June 8, 2018. Carley S. JC: Recreational drug induced hyperthermia. St.Emlyn’s – St.Emlyn’s. St.Emlyn’s. http://www.stemlynsblog.org/drug-induced-hyperthermia-st-emlyns/. Published October 20, 2013. Accessed June 8, 2018. Nickson C, Chris NicksonAn oslerphile emergency physician and intensivist suffering from a bad case of knowledge dipsosis. Key areas of interest include: the ED-ICU interface, toxicology, simulation and the free open-access meducation (FOAM) revolution. @Twitter | + Chris Nickson | RAGE | INTENSIVE| SMACC A. Metabolic Muddle • LITFL Clinical Cases • Exercise Hyponatremia. LITFL • Life in the Fast Lane Medical Blog. https://lifeinthefastlane.com/metabolic-muddle-011/. Published December 11, 2009. Accessed June 8, 2018. EXERCISE ASSOCIATED HYPONATREMIA (EAH) AND FLUID INTAKE DURING THE 2016 LONDON MARATHON. British Journal of Sports Medicine. http://bjsm.bmj.com/content/51/4/409.1. Published 2017. Accessed June 8, 2018. Public Health – St.Emlyn’s. St.Emlyn’s. http://www.stemlynsblog.org/category/administration/public-health/. Published 2016. Accessed June 8, 2018. Friendly, confidential, drugs advice. Talk to FRANK. http://www.talktofrank.com/. Published 2018. Accessed June 8, 2018. May N. JC: One Too Many? St.Emlyn’s. http://www.stemlynsblog.org/jc-one-too-many/. Published May 4, 2018. Accessed June 8, 2018. Baombe J. All you need to know about CHEMSEX but never dared to ask… St.Emlyn’s – St.Emlyn’s. St.Emlyn’s. http://www.stemlynsblog.org/chemsex/. Published December 12, 2015. Accessed June 8, 2018. Previous: Previous post: St Emlyn’s LIVE & the Teaching CoOp course: Announcing Salim Rezaie.